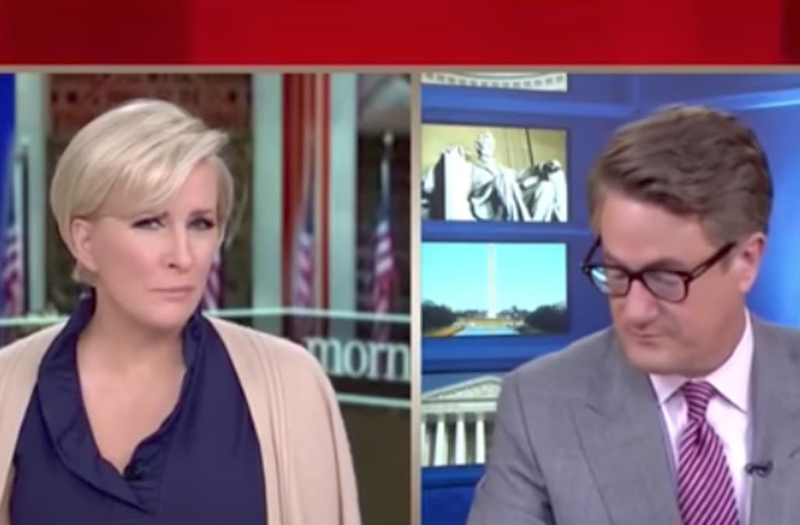 MSNBC's "Morning Joe" hosts Joe Scarborough and Mika Brzezinski were still fixated Wednesday on a cabinet meeting that occurred earlier this week in which staffers bizarrely praised President Donald Trump. "If the president seems delusional about his accomplishments, you can point no further than that room," Brzezinski said. "There are no real men in the inner circle of the White House... none at all." Scarborough explained that nobody in the White House tells Trump "the truth" when he isn't doing well. Guest David Ignatius called the meeting a "parade of sycophancy." On Monday, Trump held a cabinet meeting and various members of his administration essentially took turns praising the president while cameras were rolling. On Tuesday, the MSNBC morning show played clips of the meeting. "Whoa, that was some sad stuff," Scarborough said in response to the footage. "Am I allowed to say that was kind of sick?" Brzezinski asked. Scarborough added, "That was the most sick, shameful, pathetic, un-American, autocratic display."